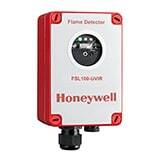 The Honeywell conventional flame detection range comprises of 2 families: the FSX range being suitable for industrial type applications, Zone 1 hazardous area units and the FSL range being Zone 2 hazardous area units. 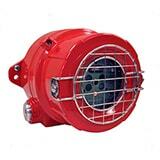 Do you require assistance with deciding which Flame Detector to choose? The Honeywell Security and Fire Flame Detection Wizard is an Application based tool to guide in the selection of the most appropriate Flame Detector for your application.